Now that gospel's Kirk Franklin-induced moment in the pop spotlight has come and gone, the scene can go back to doing what it's always done best: inspiring and enlightening audiences with some of the most commanding voices in music. 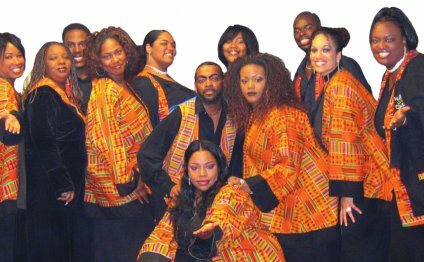 After all, gospel's roots in New York go a lot deeper than one Texan's multiplatinum record - they go all the way back to the turn of the century, when ex-slaves migrated to the North in search of manufacturing work and freedom from racial oppression. Consequently, Baptists have a strong, near-dominant presence in New York's gospel scene, with Sunday-morning services taking on the feel of an ecstatic religious revival that would be perfectly at home in the deep South. Thanks to its passionately provocative pastor, Calvin Butts, and powerful choir, the Abyssinian Baptist Church (132 West 138th Street; 862-7474) is the best-known venue in the city's gospel landscape. But a visit there merely scratches the surface of what the northern end of Manhattan has to offer. The New Mount Zion Baptist Church (171 West 140th Street; 283-0788) has been a fixture in Harlem since its founding nearly 81 years ago. So it's not surprising that every Sunday the entire second floor of the small, steeple-roofed church is crammed with tourists (so much so that there's a section of the morning program called "Recognition of Visitors"). The huge presence of out-of-towners doesn't seem to deter Pastor Carl L. Washington Jr., who leads a boisterous call-and-response service ("Isn't the Lord good this morning? Amen! "), or his congregation, who clap, sway, and sing ecstatically throughout the service. Amazingly, the rollicking gospel music almost never takes a pause, even during the pastor's remarks. The church's choir is able to hit vocal registers so high that it's easy to imagine them reaching the heavens. Another Harlem fixture, the Mount Neboh Baptist Church (1883 Seventh Avenue, at 114th Street; 866-7880) is home to the intimidatingly great Mount Neboh Mass Choir, known for its triumphal renditions of gospel-music staples like "O Happy Day" and "At Calvary." Though guests are welcome, Mount Neboh's divine reputation often results in a packed house well before both the 8 and 11 a.m. services on Sunday. The Greater Refuge Temple (2081 Adam Clayton Powell Jr. Boulevard, at 124th Street; 866-1700) is also incredibly popular among tour groups (one tour guide even complained that groups of visitors are shuttled in and out of the church at twenty-minute intervals). The church's brotherhood, which sings hymns with gloriously deep, soulful baritones, puts on an astoundingly good show; it performs every third Sunday of the month, starting at 11 a.m.